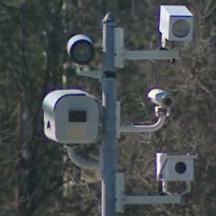 Motorists in Maryland who receive a speed camera citation have the option of requesting a trial. Most motorists don't request a trial and simply pay the $40 fine. However, there are several good reasons to ALWAYS request a trial, even if you think that you might decide to just pay the fine before trial. Requesting a trial forces the county (or city) that issued the citation to create an evidence package. As we saw with the Baltimore camera scandal, citation evidence can often be erroneous. During creation of the evidence package, the citation is sometimes "administratively voided" and you never even have to appear in court. Conversely, if you pay the citation without requesting a trial, no further review of the citation is performed. In other words, if you don't request a trial, you lose $40 even if you did nothing wrong. If you go to trial and win, you save $40. The county (or city) gets nothing. If you go to trial and lose, you lose around $30 to $45, depending on the amount of the fine that the judge decides to assess. (The judges usually reduce the fine enough to offset most or all of the court costs that are charged in addition to the fine.) But even if you lose, the county (or city) gets nothing. Under state law, the District Court retains the entire fine and court costs to cover the cost of operation. You read it right: When you go to court, the county (or city) that issued the citation gets nothing for their effort, even if you lose the case. We confirmed this with the Administrative Clerk of the District Court. When you appear for a trial, you are helping to maintain justice in the USA. Remember: Pleading "not guilty" simply means that you want to exercise your constitutional right to a trial. If you request a trial and decide later to pay the citation without appearing in court, you can still pay the $40 fine without incurring any penalty, as long as you pay it before the court date. Since court dates are usually set at least one month in advance of a trial, you get an extra month to think about what to do about your case. And if money is tight, you get an extra month to pay the citation, if you decide to do so.